This is a summary of a presentation by Kevin Rogers on the 6th of February 2014 at Reasonable Faith Adelaide. The presentation was video recorded on You Tube. See also the Luke We Power Point slides. Christianity is a historic faith in this sense. Its validity is dependent on the truthfulness of actual historic events. Christians claim that God is there and He has spoken. He has intervened in human history. But how can we know that this is all true? The writer of Hebrews commences his book by saying, “In the past God spoke to our ancestors through the prophets at many times and in various ways, but in these last days he has spoken to us by his Son.” How do we know? Well witnesses recorded what they saw and heard and their testimony to these events is primarily recorded in the pages of the Bible. In this article we are going to look at this through the eyes of a single person whom we know as Luke. All of the authors were Jewish, except for Luke who was probably a highly educated, Greek God Fearer who attended synagogue prior to his Christian conversion. The New Testament documents were written at different times mostly in the latter half of the first century, from different places and to different readers. They were originally written on papyrus scrolls, which limited their maximum size. It is debatable whether the authors were conscious that they were writing sacred scripture. They may have simply been writing to meet local needs at that time. However, the readers perceived their value, copied and distributed them to other churches and also formed them into collections for reading within local congregations and for personal use. For instance, Paul wrote 13 letters to various churches. It is likely that they were formed into a collection near the end of the 1st century and then widely distributed to churches. Scrolls were expensive and laborious to produce. Thus it would have taken a significant number of years for them to be widely distributed within the Roman Empire and to gain acceptance by the churches. The New Testament documents are both independent and interdependent. Paul’s letters are very early and he probably had no access to any of the 4 gospels. On the other hand, both Matthew and Luke seemed to have borrowed from the Gospel of Mark, but they also had access to their own independent material. The gospel of John seems to be completely independent of the other 3 gospels. There were other documents around. Some of these were orthodox but written later and did not offer anything new. Others were forgeries from heretical groups. The churches had to decide and agree on which ones were authoritative. There were various canons (approved lists) constructed over the years in which there was substantial consensus, but the final canon was eventually agreed by church councils in the latter part of the 4th century (Council of Rome 382, Synod of Hippo Regius 393, Council of Carthage 397). The 2 documents that I will discuss are the Gospel of Luke and the Acts of the Apostles. Acts is a sequel to Luke and it is certain that they were written by the same author. The early church fathers identified the author as Luke, which will be assumed in the rest of this presentation. This is difficult to prove with certainty, but it is not highly contested, nor does it greatly matter. Luke is a minor figure who is only mentioned briefly 3 times by Paul in his letters. We know most about Luke from what he wrote. Luke is a highly polished Greek writer. His Greek is better than the rest of the New Testament. He is adept at changing his style between formal and colloquial Greek to suit the context. It seems as though Greek was his first language, unlike the other Jewish, New Testament authors. The key focus of this presentation is on the “we” passages in the Acts of the Apostles. In Acts there are distinct passages where the author writes in first person plural, using pronouns such as “we”, “our” and “us”. If these really indicate when Luke was with Paul, then this has strong implications on the dating and reliability of the Acts of the Apostles and Luke’s gospel. The use of “we” is done in a very natural and nonchalant manner. It is very easy to miss. I did not notice it myself for a number of years until it was brought to my attention. I also know of a fellowship group who studied Acts for a whole year and did not notice this critical feature at all. However, it is a well-recognized, distinctive feature amongst Biblical scholars. For the 1st half of the Acts of the Apostles, Luke describes the activities of the protagonists using the third person (e.g. “he” or “they”). However in chapter 16 he makes a sudden switch and starts using the 1st person plural using such pronouns as “we, our and us”. The obvious conclusion to draw is that Luke had joined Paul during these phases of his missionary journeys. This is not a constant feature. Luke swaps between 1st person and 3rd person at distinct points. This allows us to track segments in Paul’s travels where it seems reasonable to infer that Paul was accompanied by Luke. The “we” sections are summarized in the following table, but we will consider each section in more detail. 6 Paul and his companions travelled throughout the region of Phrygia and Galatia, having been kept by the Holy Spirit from preaching the word in the province of Asia. 7 When they came to the border of Mysia, they tried to enter Bithynia, but the Spirit of Jesus would not allow them to. 8 So they passed by Mysia and went down to Troas. 9 During the night Paul had a vision of a man of Macedonia standing and begging him, “Come over to Macedonia and help us.” 10 After Paul had seen the vision, we got ready at once to leave for Macedonia, concluding that God had called us to preach the gospel to them. This transition occurred at Alexandrian Troas, which was an ancient Greek city on the north eastern tip of Turkey. From Troas the company sailed to Samothrace, Neapolis and then travelled to Philippi, a Roman colony and the leading city of that district of Macedonia (Acts 16:11-12). In Philippi, Paul cast an evil spirit out of a fortune-telling slave girl, taking away her gift. The owner complained to the authorities and so Paul and Silas were imprisoned. After Paul was released, he told the magistrate of his Roman citizenship and so the magistrate politely asked him to leave the city. At this point the “we” passages stop for a significant time. Luke seems to have been left behind in Philippi. Paul & Silas then travel to Thessalonica, Berea, Athens and then to Corinth. Paul then stayed in Corinth for 18 months (Acts 18:10). This sojourn can be accurately dated from the end of 49 AD to mid-51 AD. While he was in Corinth, he wrote two of his letters, 1&2 Thessalonians. He then visited various places in Galatia and Phrygia (Turkey) and then returned to Ephesus again, where he stayed for just over 2 years. Paul then travelled to Macedonia and then Achaia (Greece), where he stayed for 3 months. He then returned to Philippi in Macedonia. When he sailed from Philippi to Troas, the “we” passages resume. The interlude has been over 4 years. Note that Philippi was the drop off point for Luke and Luke rejoined Paul from the same location. After staying in Troas for 7 days (Point 9 above) Luke then sailed to Assos but Paul went by foot. Paul was then taken on board at Assos. They then sailed to Caesarea via Mitylene, Kios, Miletus, Cos, Rhodes, Patara, Tyre and Ptolemais. From Caesarea, they travelled overland and arrived at Jerusalem (Acts 21:17), probably in 57 AD. From this reference it is reasonable to infer that Luke was introduced to James, Jesus’ brother, as well as to the church in Jerusalem. This would have included other eye-witnesses to Jesus’ life and ministry. Paul then participated in a purification rite at the temple to show that he still adhered to the Jewish law. However, he was recognised by some Jews from the province of Asia and they started a riot. To cut a long story short, Paul was arrested and taken to Caesarea, having been in Jerusalem for only 12 days. Paul was then imprisoned at Caesarea for 2 years. When Paul was taken to Caesarea, the “we” passages stop. So, where was Luke while Paul was at Caesarea? It seems reasonable to suppose that he stayed with the church in Jerusalem. Paul initially appeared before Felix but Felix left him in jail for 2 years until he was replaced by Porcius Festus in 59 AD. Paul was then interviewed by Festus and Herod Agrippa II. Even though Paul is assessed as innocent he is sent to Rome because of his appeal to Caesar. Acts chapter 27 describes the sea voyage from Caesarea to Malta. It is quoted below and I encourage you to read it carefully. Note all the vivid details regarding the places visited and details regarding operation of the ship during the storm. Judge for yourself whether you think that Luke was actually there. 33 Just before dawn Paul urged them all to eat. “For the last fourteen days,” he said, “you have been in constant suspense and have gone without food — you haven’t eaten anything. 34 Now I urge you to take some food. You need it to survive. Not one of you will lose a single hair from his head.” 35 After he said this, he took some bread and gave thanks to God in front of them all. Then he broke it and began to eat. 36 They were all encouraged and ate some food themselves. 37 Altogether there were 276 of us on board. 38 When they had eaten as much as they wanted, they lightened the ship by throwing the grain into the sea. 42 The soldiers planned to kill the prisoners to prevent any of them from swimming away and escaping. 43 But the centurion wanted to spare Paul’s life and kept them from carrying out their plan. He ordered those who could swim to jump overboard first and get to land. 44 The rest were to get there on planks or on pieces of the ship. In this way everyone reached land in safety. Do you think that this account is from an eyewitness? Paul would have arrived in Rome in AD 60 and Luke mentions that he was under house arrest in Rome for 2 years. That is where Luke’s writings end, but what followed was tumultuous. Paul was due to appear before the emperor Nero, but what was the outcome of Paul’s trial? We are not told. The Neronian persecutions commenced in 64 AD. Paul, James and Peter were all executed in the Mid-60s. Acts records the martyrdoms of Stephen and James the son of Zebedee. Why not these latter ones? The Jewish temple in Jerusalem was destroyed in 70 AD. Why did Luke not mention these things? The obvious explanation is that Luke completed the book of Acts shortly after Paul’s house arrest and he probably wrote it during that time. It is quite possible that Luke was also a victim of the Neronian persecutions. Now that we have looked at the book of acts, what are the implications on the gospel of Luke? 1 Many have undertaken to draw up an account of the things that have been fulfilled among us, 2 just as they were handed down to us by those who from the first were eyewitnesses and servants of the word. 3 Therefore, since I myself have carefully investigated everything from the beginning, it seemed good also to me to write an orderly account for you, most excellent Theophilus, 4 so that you may know the certainty of the things you have been taught. So that the reader may have certainty regarding what actually happened. When did he do most of this investigation? It was probably during his 2 year stay in Jerusalem while Paul was imprisoned at Caesarea. During this time we know that he at least met James, the brother of Jesus, who could have provided him with the family background information on Jesus that is provided in the first 2 chapters. It was a stylistic convention. The historical eyewitness interpretation states that the “we” passages indicate that the writer was a historical eyewitness. This remains the most influential opinion within current biblical studies. Objections to this viewpoint mainly take the form of the following two interpretations, but also include the claim that Luke-Acts contains differences in theology and historical narrative which are irreconcilable with the authentic letters of Paul the apostle. The redactor interpretation claims that the “we” passages are an earlier written or oral source incorporated into Acts by a later redactor. This view still acknowledges the apparent historicity of these texts and that they were eyewitness accounts but it views the “we passages” as being distinct from the main work. However, this view has been criticized for failing to provide sufficient evidence of a distinction between the source text and the document into which it was incorporated. Acts does not belong to this genre. 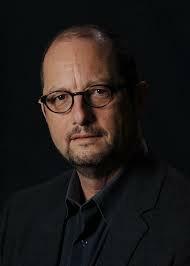 Apart from the above commonly held views, sceptical New Testament scholar Bart Ehrman claims that the “we” passages are deliberate deceptions, designed to convince readers that the author was a travelling companion of Paul, even though he was not. According Ehrman, the “we” passages are written by someone falsely claiming to have been a travelling companion of Paul, in order to present the untrue idea that the author had first-hand knowledge of Paul’s views and activities, and Acts of the Apostles is thereby shown to be a forgery. Ehrman’s view is not widely supported but it does indicate how threatening the “we” passages are to sceptics. By far the most predominant view is that Luke was an actual eye witness who accompanied Paul on some of his missionary journeys. Early Christian Writings is a predominantly sceptical website. Even so, the commentator from the Early Christian Writings website (http://www.earlychristianwritings.com/luke.html) provides this assessment. This nonchalant and matter-of-fact dovetailing convinces me that the author of Acts was among those who were left behind at Philippi and joined up with Paul to sail from there later. The distinction between Paul and “us” discredits the idea that the first person perspective in these passages is some kind of literary device, which would take the perspective of Paul (for example increasing the drama of Paul’s adventure or increasing the connection of Paul to the group), and for which there is no precedent in ancient literature. The alternative is that the author of Acts was making a false affectation to being a companion of Paul. This prompts the question of why the author made this claim in such a subtle way, instead of ensuring that the reader could not miss it by emphasizing the point, as apocryphal writers often did. It also leaves us wondering as to why the false claim to participation is restricted to a few passages, leaving Paul alone for most of the narrative–though this is understandable if the author’s participation was in fact sporadic. The most probable conclusion is that Luke had travelled with Paul at times, a fact of which Luke’s patron Theophilus was already aware. It seems fairly certain that Luke accompanied Paul on many of his missionary journeys between about 49 AD and 62 AD. He accompanied Paul to Jerusalem and met James the brother of Jesus. He thus had direct access to eyewitnesses and family members of Jesus of Nazareth. One of the characteristics of the gospel of Luke is his numerous accounts of Jesus’ contact with women. It may just be that many of those women were still part of the church at Jerusalem while Luke was there between 57 and 59 AD. Mary the mother of Jesus was at least an initial member of this church. The she may have still been there during Luke’s visit. If not, there would have been others who could have recalled Mary’s testimony. When I studied this feature it really gave me a fresh insight into Luke’s writings and I really could feel the man. It is clearly there for all to see. I encourage you to reread Luke’s writings and identify these features for yourself.